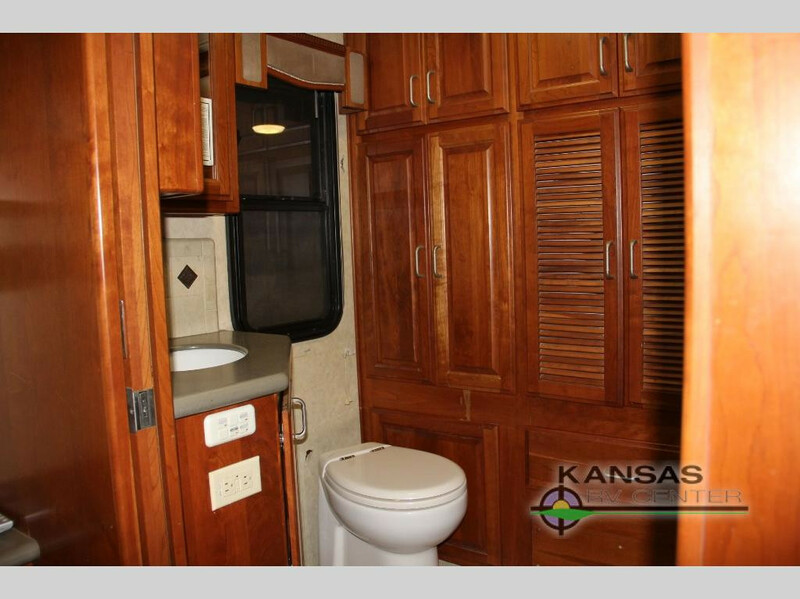 Here at Kansas RV Center we bring a sincere dedication to meeting the needs of our customers. That’s one reason why we’re always looking to offer the best new and used RVs for sale. 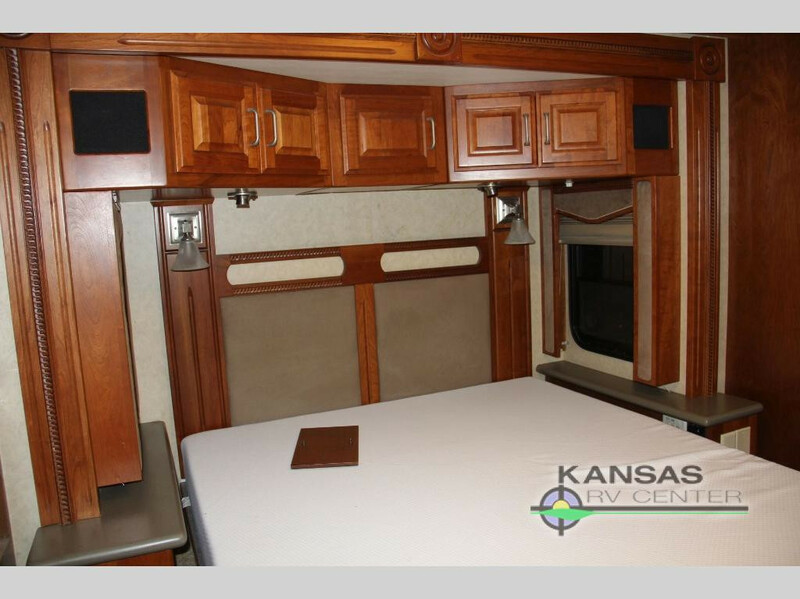 We currently have a used 2007 Fleetwood RV American Traditional 40Z for sale. This RV is priced 25% below the NADA value. The high miles and our goal to move it to a new home where it can keep its next family happy. We’ve further reduced this so the buyer can decide whether to use it with crack in lower windshield and cracked countertop or use the savings to have both replaced. 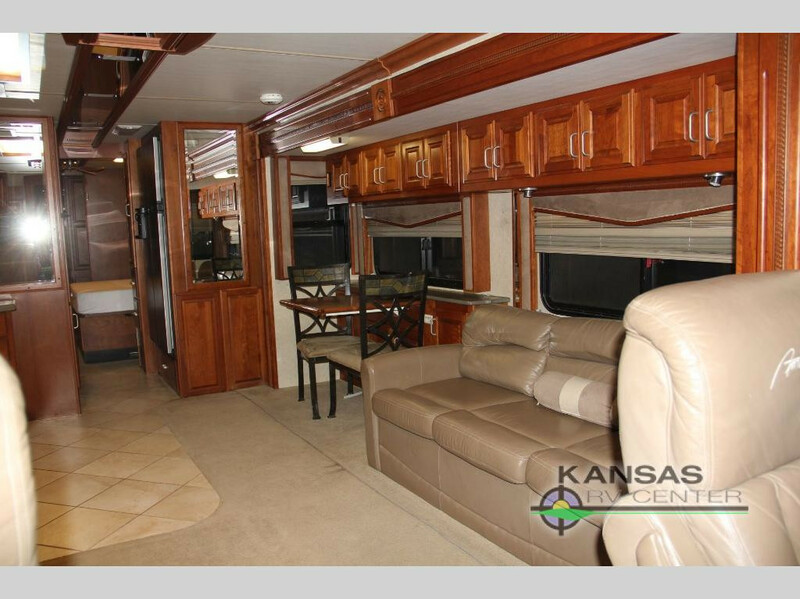 A spacious living room is one of the best features of this RV. It feature plush leather furniture and gorgeous tile flooring and carpeting. There’s tons of storage above the couch and dinette. You’ll love how this spacious bathroom offers you space to get ready for the day or wind down after a day of fun. From ample storage to high quality countertops and an attractive backsplash, this bathroom was designed for families or couples on the road. You’ll appreciate having such a high end bathroom with you wherever you go. This stunning bedroom comes with tons of storage, including nightstands on either side of the bed. You’ll love the gorgeous headboard and the plush queen sized bed. Overhead lighting offers you the ability to read a good book while in bed or wind down with your favorite magazine. At the end of the day it’s nice to know that you’ll have a comfortable, homey space to come back to after a day of adventures. Whether you’ve been hiking in the Rockies or hanging out on the beach, coming home to this bedroom will provide you with a great night’s rest and comfort for the evening. If you’re interested in learning more about our selection of class A motorhomes for sale, contact us. We can answer your questions and assist with RV financing. Our team is dedicated to offering you the best quality class A motorhomes and are looking forward to serving you.